Install your MOVEMENT plugin from the Splice desktop client and restart your machine. To get your MOVEMENT plugin up and running in Ableton you need to check Ableton's AU/VST settings. 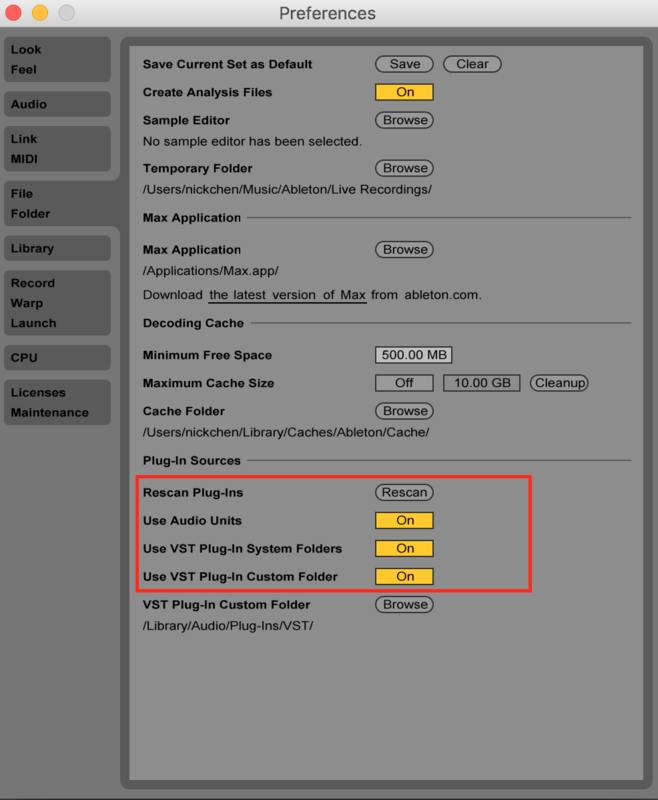 Make sure "Use AudioUnits/VST" are all checked and hit Rescan.